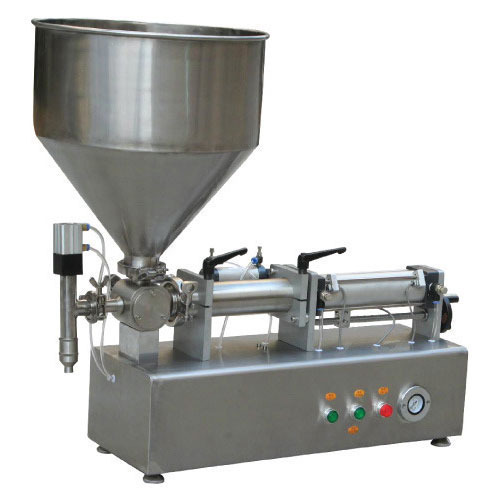 We are manufacturing Semi Automatic Paste Filling Machine to Fill Paste to fill highly viscous products like paste, tube etc. this machine is having the output speed of approximately 25 Bottle Per Minutes with the help of Metal to Metal SS316L syringe. Please do contact us for further information. We, VS Pharma Machines are one of the reputed manufacturer of Pharmaceutical Packaging Machines in India suitable for Vials, Ampoules, Bottles, Cosmetics etc. Each line includes the machines such as Washing Ü Filling Ü Capping Ü Inspection Ü Labeling, etc..
All our machines are manufactured in our own manufacturing unit under strict supervision, keeping in mind to meet the applicable norms. Also using well approved & high quality materials to have the higher quality and workmanship of the machines. We offer the machines at MOST ECONOMICAL PRICES available in the market.